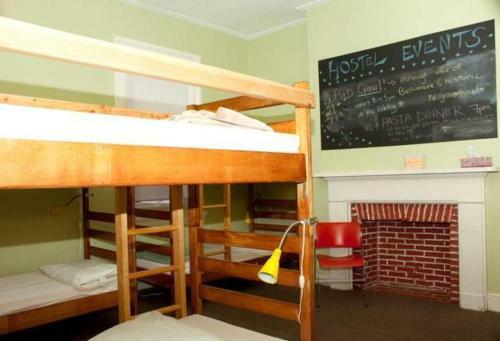 HI - Baltimore Hostel in Baltimore is an Inn with 4 Rooms. 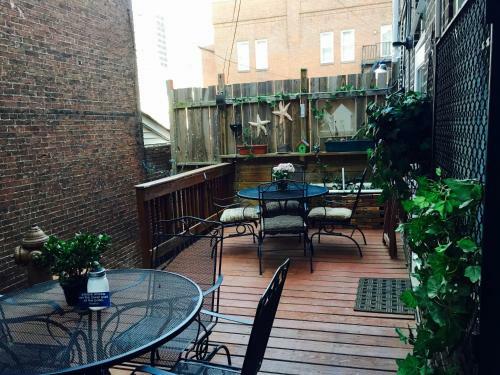 HI-Baltimore hostel is located in the heart of downtown Baltimore City. 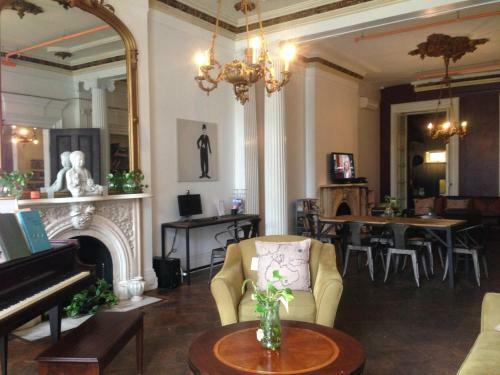 Nestled between the Washington Monument and the Inner Harbor just off Charles Street; this stately youth hostel is within walking distance of everything that makes Baltimore City terrific! 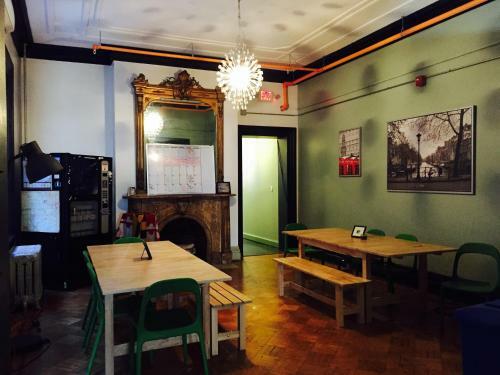 HI-Baltimore hostel is part of Baltimore City’s long and rich history. Located in an 1857 mansion across the street from America’s First Cathedral - the Baltimore Basilica, we now have 44 beds (12, 8, and 4 bed dorms) have ensuite bathroom...s, with the smaller dorm and private sharing a hall bath. 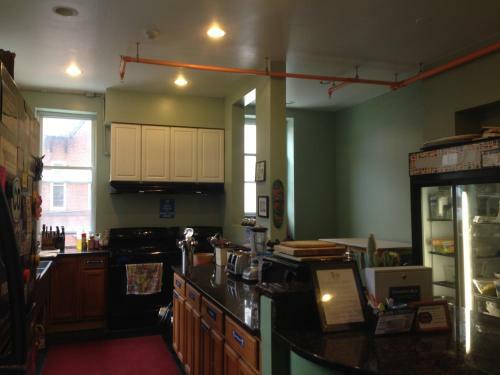 HI-Baltimore hostel is located in the heart of downtown Baltimore City. 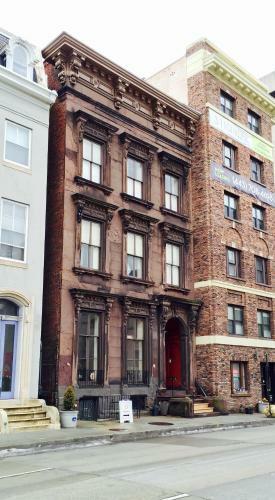 Nestled between the Washington Monument and the Inner Harbor just off Charles ...Street; this stately youth hostel is within walking distance of everything that makes Baltimore City terrific! 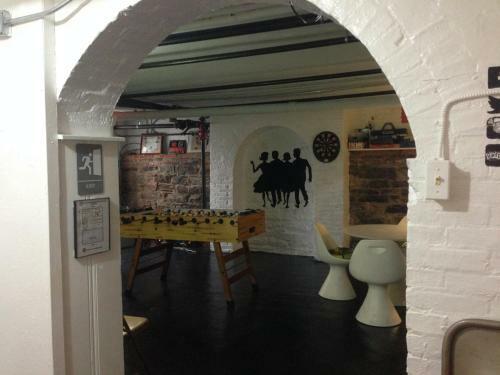 HI-Baltimore hostel is part of Baltimore City’s long and rich history. Located in an 1857 mansion across the street from America’s First Cathedral - the Baltimore Basilica, we now have 44 beds (12, 8, and 4 bed dorms) have ensuite bathrooms, with the smaller dorm and private sharing a hall bath. 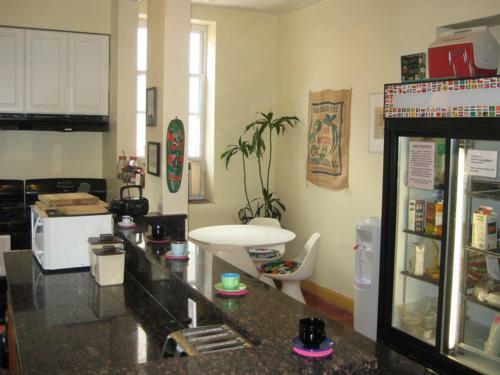 When would you like to stay at HI - Baltimore Hostel? Children and extra bedsChildren older than 12 years are welcome. One adult is charged USD 15 per person per night when using existing beds. There is no capacity for extra beds in the room. Supplements are not calculated automatically in the total costs and will have to be paid for separately when checking out. Accepted credit cardsAmerican Express, Visa, Euro/Mastercard, Discover, Cash. The accommodation reserves the right to pre-authorise credit cards prior to arrival. Guests are required to show a photo identification and credit card upon check-in. Please note that all Special Requests are subject to availability and additional charges may apply. Hostelling International is a member based organization. Guests must present a membership card at check-in or pay a membership fee of USD 4 per night. Please contact the property for more details. 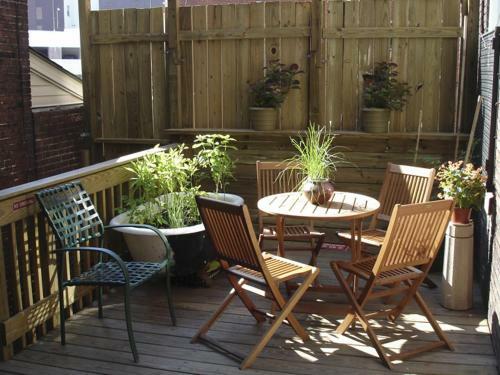 Air conditioning, Free Pancake Breakfast, Common room(s), Groups welcome, Individual traveller welcome, Laundry facilities, Lockers available, Hostel open 24h, Self-catering kitchen, Sheets in price, TV room Please note, all guests must reside more than 40 miles away from Baltimore city limits.